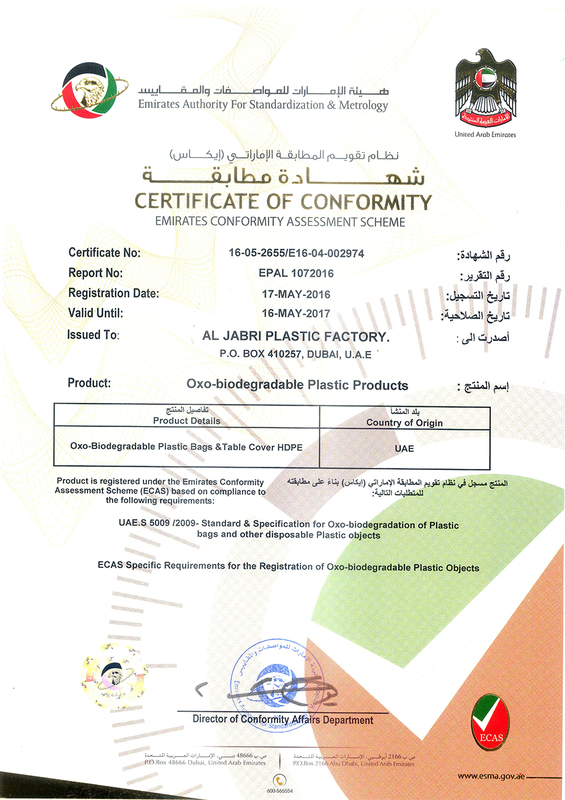 At Al Jabri Plastic, a commitment to quality is firmly embedded in our culture and therefore it forms the biggest part of our relationship with customers. We believe that adhering to best quality practices is the only way to distinguish ourselves in the industry. By quality, we do not just mean the finished goods, our quality approach runs through the entire organisation, it's both human & non-human elements. We always strive to give our customers what they expect, when they expect it – every time. 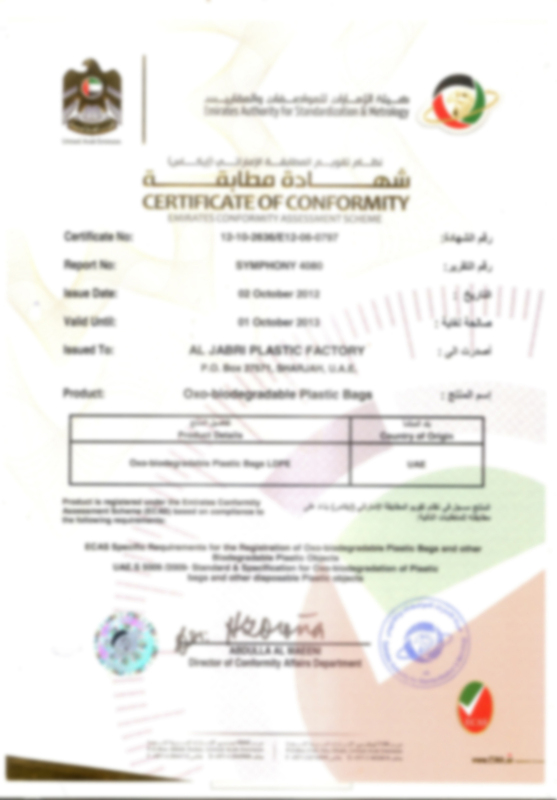 At Al Jabri Plastic, managing quality, therefore, assumes highest importance as it helps to maintain customer satisfaction, creates strong loyalty and reduce the undesirable risks and costs. 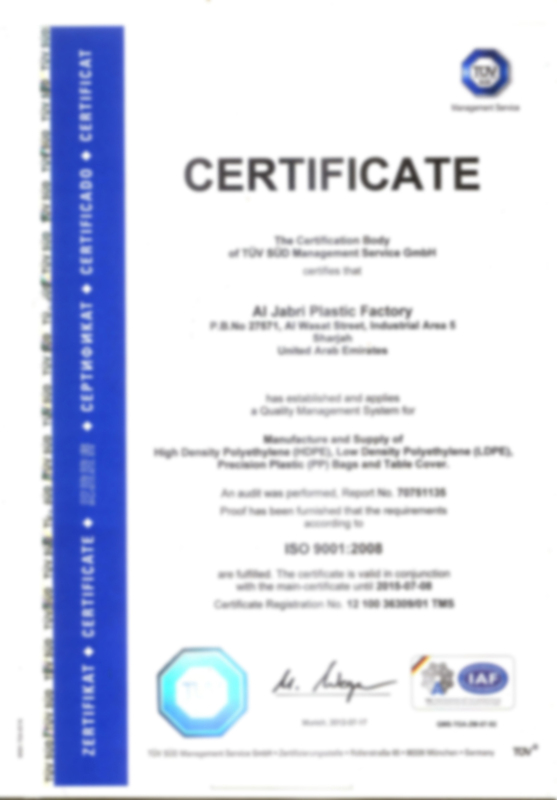 Quality consistency is the hallmark of successful organisations and at Al Jabri Plastic, we view it as the most critical element, our decision making process whether appointing individuals, selecting machines, choosing materials or applying the best customer service practices. In today’s social media-driven time, quality influences a company’s reputation in no time. The growing importance of social media means that customers can easily share both good & bad experiences with a company’s products & people on popular forums. Therefore, a strong reputation for quality can be an important differentiator in the highly competitive market. 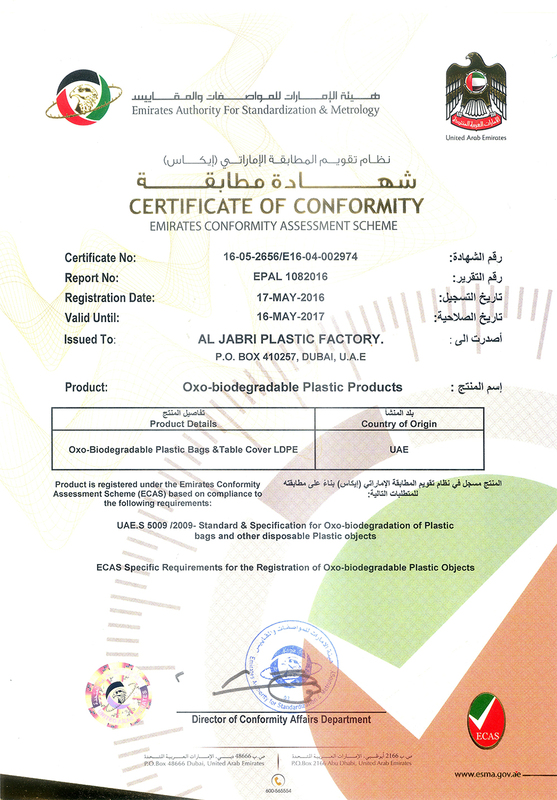 Al Jabri Plastics is a dynamic organisation whose single biggest purpose is to serve its customers with the best possible combinations of Man, Material & Machine. We are indebted to the Leadership of our beloved nation for providing us a great platform to express and excel ourselves in the packaging field. With great support & encouragement of our benign leaders, we feel highly motivated to serve the people of our nation in our humble ways. Let’s come together, work together and create happiness.